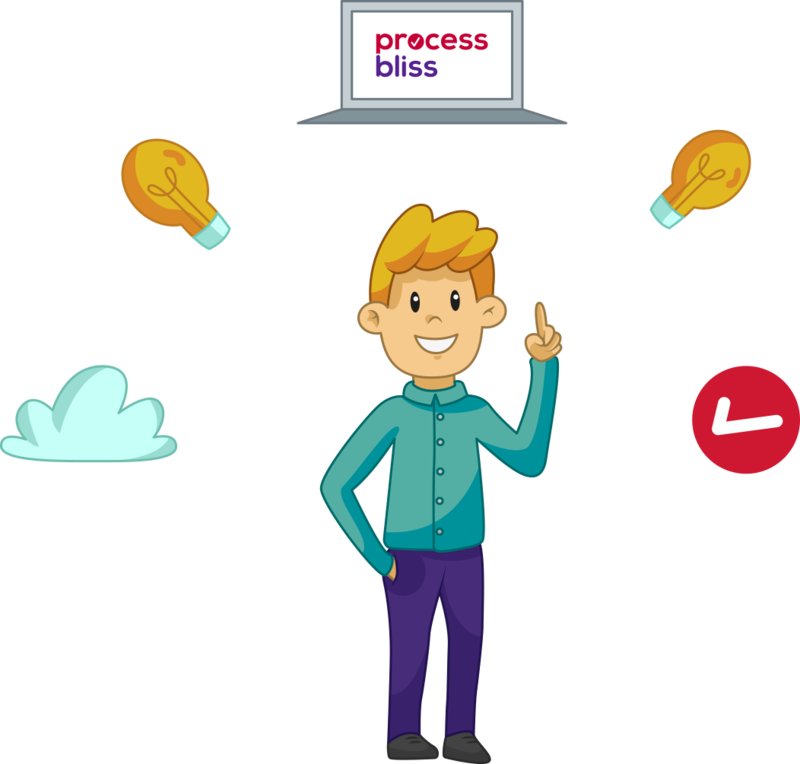 1) Process Bliss puts all the information needed to complete tasks in one place. 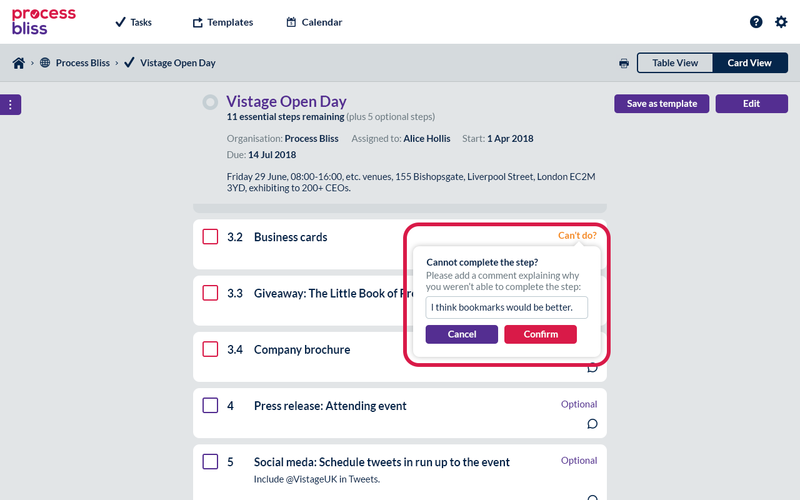 No need to waste time searching for the latest version of a document template or trying to find the login details for your systems. 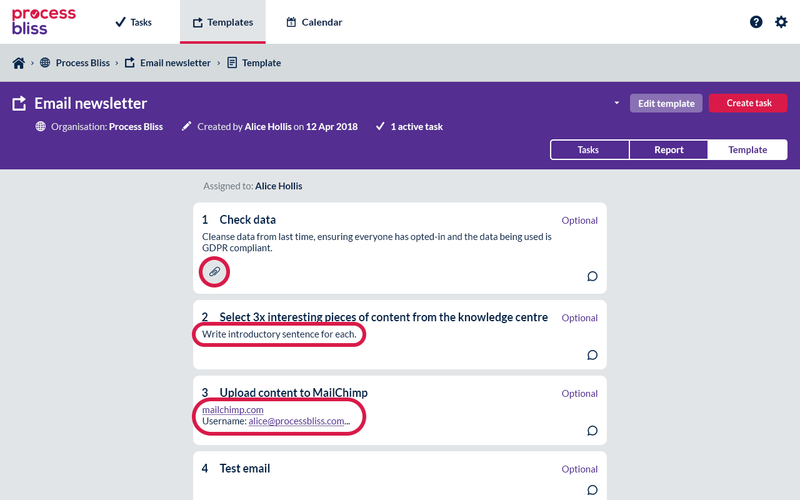 Process Bliss allows you to build documents, links, usernames and helpful hints into your tasks and templates, so that they’re focused on helping the user, rather than controlling them. 2) Process Bliss helps new employees get up-to-speed quickly. When new people join your organisation, they can immediately see how you perform all your business processes with your templates. 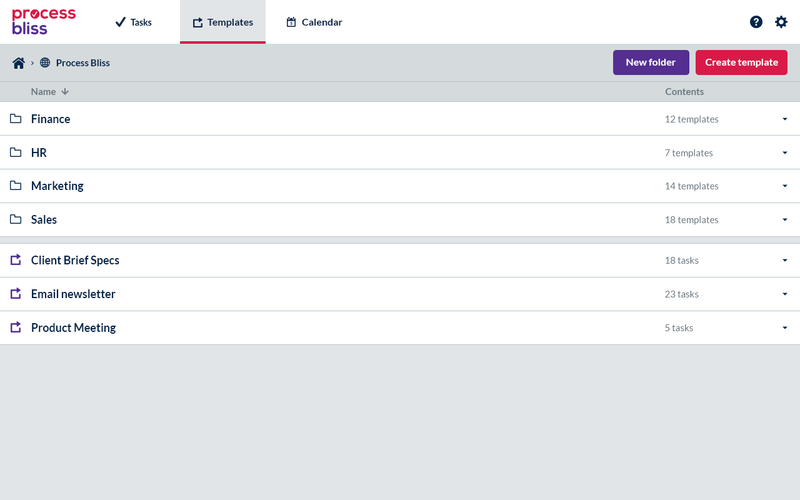 All they need to do is click creating tasks from those templates and start following the steps. 3) Process Bliss doesn’t control the user. One of the reasons people hate process is because it can be controlling. You’ve hired clever people with a specialist set of skills, so trust them to put these to good use and do things in the way they feel best. Process Bliss allows users to bypass steps they feel are redundant, or could be improved upon, and provide feedback on how they would do it differently. This can then be incorporated into your template and adopted across your organisation.